Amazon is offering the Bestek 4-Outlet Power Strip with 4-Port USB Ports for just $14 when you use promo code KE6L457P. 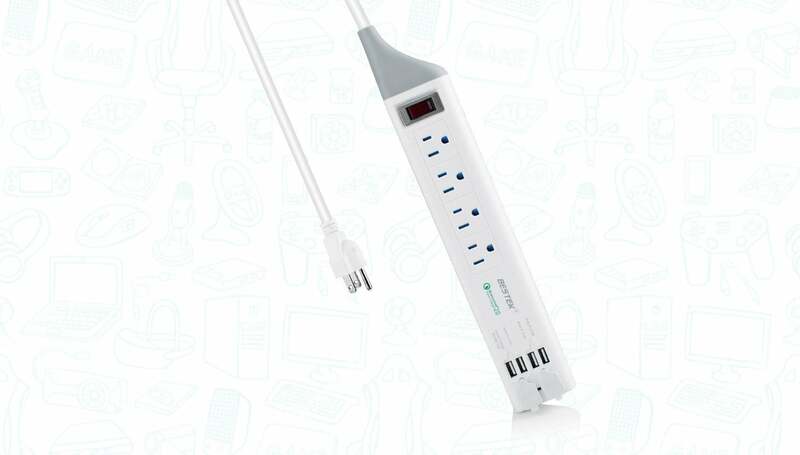 This well-reviewed power strip four outlet ports in addition to 4 USB ports, allowing you to charge or power up to 8 devices at once. It comes with a 6.6-foot long extension cord, as well as 4 ports capable of putting out up to 2.4 amps each. This means that you can charge your iPhones, iPads, and other products at nearly full speed. Not bad! You also get one Quick Charge 2.0 port for those who have a device that supports it. Just be sure to use the promo code KE6L457P at checkout to get the full discount.